Textile recycling is one of the oldest and most established recycling industries in the world, yet, few people understand the industry and its myriad players. Textiles have been recycled since the eighteenth century when the Napoleonic War caused virgin wool shortages and required that wool fibers be garneted into new yarns. Even though the textile industry has been utilizing used fibers for at least 150 years, the markets for recycled textile fiber continue to evolve. The textile recycling process functions as a multi-faceted system that occurs along a pipeline of inter-related constituents that not only turns pre-and post-consumer waste back into fiber, but also is extracting new fiber from domestic waste. Specifically, PET (polyethylene terephthalate), the chemical substance from which some polyester is made, is reclaimed from plastic soda bottles. 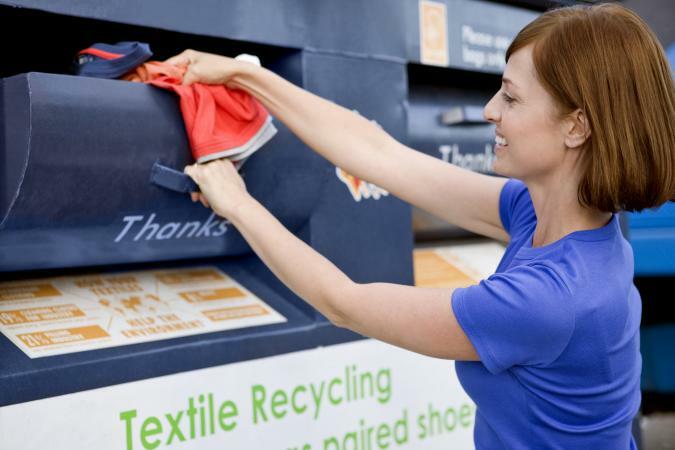 Although recycling is politically correct and ecologically friendly, 4-6 percent of landfills are comprised of recyclable textile products since discarded clothing and textile waste fail to reach the recycling pipeline, primarily because consumers do not understand the recycling process. The Council for Textile Recycling reports that the per capita consumption of fiber in the United States is 67.9 pounds with over 40 pounds (59 percent) per capita being discarded per year. Of countries where statistics are available, the United Kingdom deposits the highest percentages (90 percent) of textile waste to the landfill, compared to 65 percent from Germany, 30 percent from Denmark, and 20 percent from Switzerland. and disposed of on a global scale, and (2) much of the used-clothing market is located in developing countries where annual wages are sometimes less than the cost of one outfit in the United States. For many people in developing countries, it is necessary to be able to receive used clothing surplus from industrialized nations. Simpson (1996) reports that nearly 34,000 tons of used clothing is sent to Africa annually. Because not all countries allow the importation of used clothing, black markets have risen as goods move across borders to meet market demands. The three primary areas for processing of reclaimed apparel are Prato, Italy; Dewsbury, United Kingdom; and, more recently, India. These processing centers obtain used apparel from all over the world, sort items based on color and fiber content, mechanically reduce the apparel back to a fiber state, then reprocess into new yarns and end products. Textile and cutting wastes at the manufacturing level are considered pre-consumer waste and are easier to recycle because the fibers, dyes, and finishes are known and in like-new condition. Post-consumer waste is of uncertain origin and has a wide variance in quality and condition, making it more difficult to recycle. Ongoing research and development focuses on the problem of processing used, mixed fibers. Clippings: Waste generated from a sewn-products cutting room. Cream: Goods in like-new condition that have not been circulated in the consumer market. Deadstock: A product that is not useable or saleable. Garnet: To separate fabric into the fibers from which it is made by using a machine with need like teeth that pull the fabric apart. Mill Overruns: Anything made for first quality but not used, e.g. overproduction. Mungo: Fibers extracted from woven garments. Fibers obtained by this method are very short and must be mixed with longer fibers to enable successful spinning. Needlepunch Wipers: Wipers manufactured from textile waste products. PET: Thermoplastic polyester based on polyethylene terephthalate, i.e. recyclable plastics. Post-Consumer Textile Waste: Textile waste from the home. Pre-Consumer Textile Waste: Waste produced from manufacturing processes. Rag Sorter: A company that grades post-consumer textile waste based on product, condition, or material content. Reworkable Waste: Waste from the manufacturing process that can be fed more or less directly back into the process. 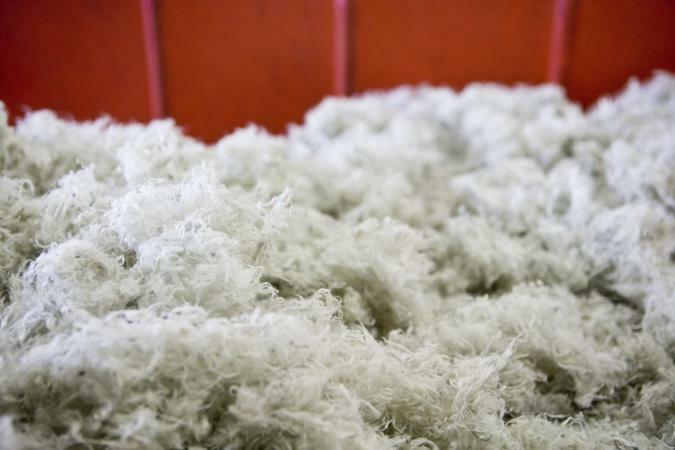 Soft Waste: Waste from the manufacture of garments and yarns, mixed with new fiber by spinners to produce cheaper yarns. Textile MRF: A facility that grades and sorts post-consumer waste. Vintage Used Clothing: Reused clothing that has become fashionable or has collectible value. Wipers: Squares cut from any cloth or material used to clean or polish. Some of these glossary terms specific to the textile recycling industry have been adapted from the Council for Textile Recycling Buyers Guide and Directory, Bethesda, Md. : Council for Textile Recycling, 1995. See also Polyester; Anthropology of Secondhand Clothes; History of Secondhand Clothes; Textiles and International Trade. Council for Textile Recycling. "Don't Overlook Textiles!" Council for Textile Recycling, 1997. Goodard, Robert, and Daly Herman. "Environmental Sustainability: Universal and Non-Negotiable." Ecological Applications 6, no. 4 (1996): 1002-1117. Hawley, Jana M. "Textile Recycling as a System: The Micro-Macro Analysis." Journal of Family and Consumer Sciences 92, no. 4 (2001): 40-46. Meis, M. "Consumption Patterns of the North: The Cause of Environmental Destruction and Poverty in the South: Women and Children First." Geneva, Switzerland: United Nations Commission on Environment and Development, 1991. Platt, Brenda. "Weaving Textile Reuse into Waste Reduction." Washington, D.C.: Institute for Local Self Reliance, 1997. Watson, Jacky. Textiles and the Environment. New York: The Economist Intelligence Unit, 1991.